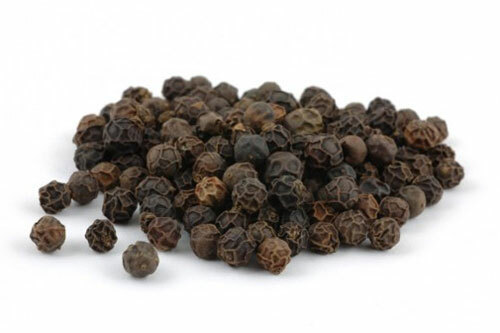 Black pepper is widely known and used as food seasoning. Its oil, while not very recognized by many, is highly potent and beneficial because of its chemical content called "monoterpene." Black pepper essential oil is derived from peppercorns of the pepper family known as "piperceae" by the process of steam-distillation. Black pepper has warm, spicy, and hot aroma hence the term peppery. Black pepper is a proven stimulant which increases mental and physical alertness. It is for this reason that black pepper essential oil is perfect for athletes and for those who are going to take an examination. Black pepper essential oil may be combined with Geranium, Lime, Lemon, Sage, Mandarin, Lavender, Ylang-Ylang, Frankincense, Sandalwood, Bergamot, Juniper, Clove, Clary Sage, Ginger, Coriander, Fennel, Grapefruit. To quit smoking. Whenever you feel the urge to smoke, keep the oil handy to easily dab on the tongue. It is also helpful to diffuse the oil the whole day. Arthritis. Apply 1 to 2 drops of black pepper oil to the affected area and massage. You may blend it with white fir, frankincense, or an analgesic ointment. For optimum results, do this a couple of times a day. Increase Appetite. Use as aromatherapy to improve eating habit or use 1 drop of black pepper oil to massage the abdomen. Circulatory system. Massaging a small amount of this oil improves blood circulation in the area. Our brain needs the ultimate quality and supply of oxygen. If circulation of blood is good, oxygen supply will also be adequate. Aromatherapy using black pepper essential oil is also perfect for this purpose. Chills. Massage 1 to 2 drops on the soles of the feet to promote warmth and relieve shivering. At the same time, warmth also promotes increased energy. Indigestion and constipation. Use 1 to 2 drops of black pepper oil and massage the abdomen in a clockwise direction to relieve constipation, bloatedness and flatulence. On the other hand, if suffering from diarrhea, massage in counter-clockwise direction. Cough. Add 1-2 drops of oil in a glass of water and gargle. You may also use a small amount to massage the throat and chest. Flu. Use 1 to 2 drops of black pepper oil to massage the pressure points or nerve endings of the feet, preferably thrice a day. Emotional dishonesty. Emotional dishonesty means a denial of self. Black pepper essential oil, when diffused or massaged over the heart center, alleviates this negative emotion about yourself, thus increasing your feeling of security and self confidence. Immune System: Use as indicated when you’re not feeling well, or massage a diluted mixture into the soles of the feet daily as desired. Nerve pain. Mix 1 drop of black pepper oil with carrier oil and massage over the affected area. Nerve pain is characterized by burning, stabbing, or tingling pain along the course of a damaged nerve. Tonsillitis. Mix 1 drop of black pepper with 1 drop of lemon extract and gargle. You may blend it with another essential oil with immunity effect. Toothache. Dilute a small amount of black pepper oil by adding gradually 1 teaspoon pure coconut oil. Dip a cotton swab in it and dab on the aching tooth/teeth. Blend it with clove for more pain relieving effect. Dizziness. Apply a drop on your hands and rub together and inhale it several times by cupping over your mouth and nose. This may relieve symptoms of vertigo like light headedness and nausea. For vomiting, use 1 to 2 drops and apply it on the tummy and the reflex points of the feet. Get Your Black Pepper Essential Oil Now! I used this product to help me to stop smoking. While it doesn't magically make you stop smoking it drastically calms your craving & allows you to say no, & that is a blessing. I am 4 weeks smoke free now & that is the longest I have ever gone. I would highly recommend this if you are serious about being smoke free.